Tour the town of Frutillar, known for its black sand beaches, crystalline waters and its Theatre by the lake. Lose yourself in its clean, orderly streets lined with rose and dahlia gardens and perfectly-maintained wooden buildings. Frutillar is home to the best desserts in Chile thanks to the influence of the German colonists who arrived in the 19th century. 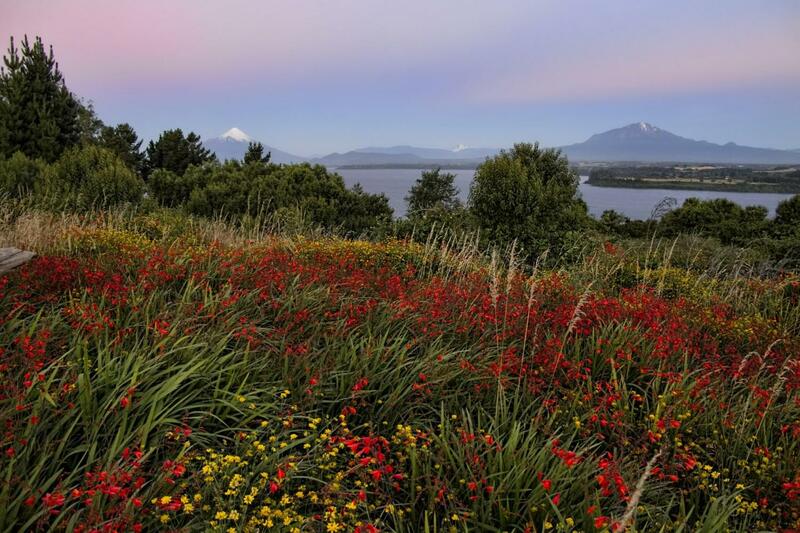 After visiting this town, we will enjoy a lunch (not included) in front of Llanquihue Lake with a stunning view of the Osorno and Puntiagudo Volcanoes. By the evening we will continue bordering Llanquihue Lake until we arrive at Puerto Octay, a charming town with a beautiful German-style architecture.